About a year old, Flutter which a software development kit is offered by Google, allowing developers to create code to develop iOS and Android apps. Today is the special day! As part of Mobile World Congress 2018 in Barcelona today, company has announced the availability of its Flutter App Development Framework by Google is available now in beta. 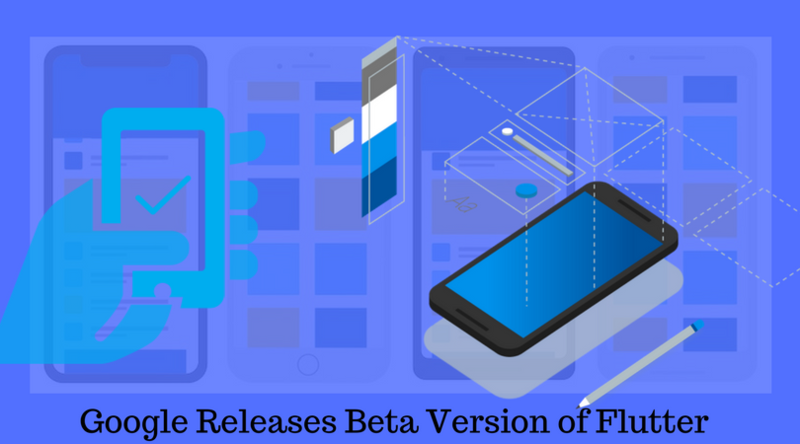 Google this week announced the official beta release of Flutter UI framework and it’s especially well-suited for novice developers and help native app developers for crafting fancy user interfaces. Developers can use Flutter toolkit allows to write your code and build high-quality native interfaces mobile apps for both Android and iOS devices. Flatter is free and is built from a single code base. Some people say that it is popular frameworks like Facebook’s React Native. Flutter is an open source SDK for designing top-class native interfaces, high-fidelity mobile apps for iOS and Android. It’s a mobile UI framework makes it easy for you to build user interfaces extremely easy for developers to create high-quality apps while reducing the amount of code and update your app’s view. Expressive and flexible designs along with device-specific widgets, rich animation libraries, extensible architecture, a layered and other feature. High-velocity development with new features like stateful Hot Reload, integrated tooling, rich widget set and multi-platform reach of portable UI toolkits. High-quality experiences cross devices ecosystems and platform powered by GPU-accelerated and portable, renderer and native ARM code runtime and platform interop. That being said, Google’s plans for the 1.0 release of Flutter at its I/O 2018 later this year. This means the native app developers can improving stabilization of the framework to using Google’s Flutter app development framework for designing their app UI and have managed code across their mobile apps. Roma Kapadia is an SEO & Research Analyst at SysBunny, a smartphone application development company based in the USA. She has a very detailed knowledge of the mobile app industry. She has a knack to understand client needs and always keep exploring new things in the emerging IT field. You can follow her on Facebook and Twitter.